Our partnership with SMMT enables us to share with you today detailed 2016 sales for Northern Ireland. Keep in mind this is a zoom in for each UK nation, these figures are already included in the UK Full Year 2016 Report. The Northern Irish market is very stable in 2016 at +0.4% to 57.324 registrations, and its best-seller is unchanged on 2015: the Ford Fiesta leads the way again in spite of sales down 15% to 2.037, distancing the VW Golf (+1%). The Hyundai Tucson is the success story of the year, ranking directly at #3 for its first full year of sales in the nation, even snapping the top spot in February. 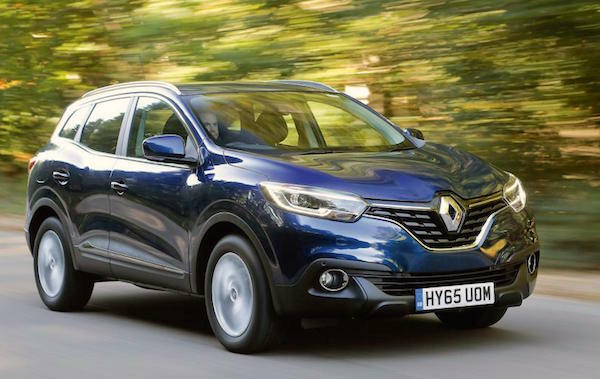 It’s the year of the SUV in Northern Ireland: the Nissan Qashqai is up 9% to #5, the Kia Sportage breaks into the Top 10 at #7, the Ford Kuga is up 6% to #8 and the Renault Kadjar ranks at an outstanding 9th position for its first full year of sales, peaking at #2 in December.